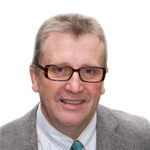 Clive Barwell is a highly experienced later life financial advisor and Will writer who is based in Leeds and has been advising on Wills for over forty years. Although making a will isn’t as time consuming or as stressful as many people think, unfortunately many people never get round to it. If you don’t have a Will, there is a very real possibility that a Law dating from 1925 will decide who inherits your possessions. Clive Barwell’s will writing service is aimed at clients who live in Leeds and throughout the Yorkshire region. Clive will visit you at home at a time to suit you, to talk through your requirements, your personal circumstances and your financial objectives for the future. It is worth bearing in mind that many Will writing services, including those offered by some solicitors, provide very little in the way of advice or guidance. By working with Clive, you’ll have the additional benefit of his experience in providing high quality financial advice. Once your Will has been drawn up, Clive will talk you through the details to ensure that you fully understand what you are signing so that your wishes are properly executed. This is also provides a good opportunity to ensure that your chosen Executors, Trustees and/or Attorneys understand their respective obligations and duties. During the final stage of the Will writing process, Clive will arrange for secure storage of all your important legal documents, so that they are available for access as required. Making a Will is just one aspect of ensuring your financial security in later life. 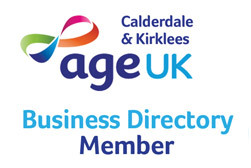 Alongside his expertise as a will writer in Leeds, Clive Barwell provides a range of financial services designed for those at pre or post retirement, designed to offer security and peace of mind. Whether you struggle to get to grips with financial matters in general, or are concerned about paying for long term care, Clive has the expertise to help you navigate a secure financial route through the future whilst avoiding financial pitfalls along the way. Clive Barwell is one of the most experienced and qualified later life advisors working in financial planning today and as an Accredited Member of the Society of Later Life Advisers, is able to offer the reassurance that your finances are in safe – and qualified – hands. Clive’s expertise covers everything from care fees planning and inheritance tax, through to investment and equity release. His will later life financial and will writing services are available to clients who live in Leeds and if you would like to find out more about how he can help you secure your future, why not get in touch today to arrange an initial consultation? Clive can be contacted on 0800 074 8755, so rather than worrying about financial concerns, why not let him help you take control of your financial well-being?